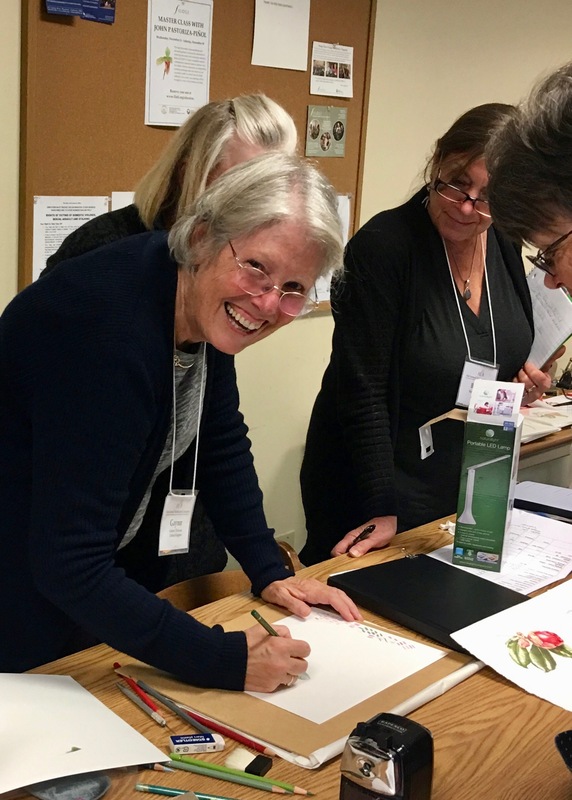 Due to requests for a beginner class in Botanical art watercolour painting, new of this year is a class dedicated to those wanting to either learn watercolour painting or refine their skills in this area. Three days in January will be allotted to this, followed by a specific two-day botanical topic. 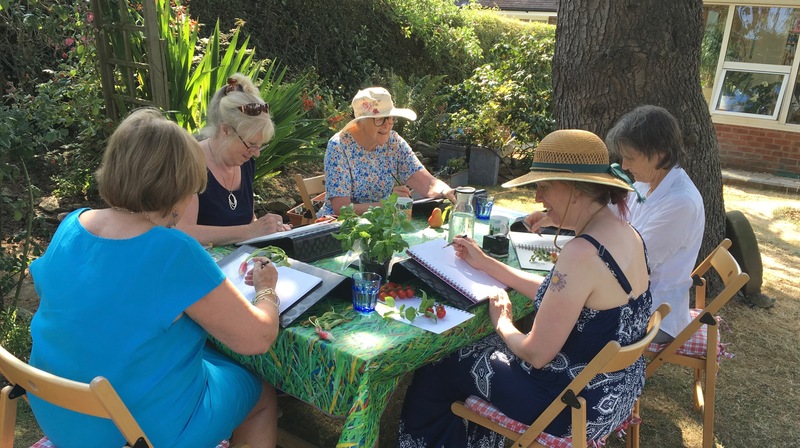 £255 New Beginner workshop; watercolour techniques in botanical art. £170 Easter colour: What a huge range of plants to choose from! £170 Delicate Blossom – Apples, Oranges, Plums, Medlar……? Workshops are between 10:00 – 16:00 and all include lunch, teas & coffee. Please bring your own drawing and painting materials, although Gaynor has some supplies for sale. Ask Gaynor for a suggested materials list if this would be helpful. Some plant material will be available but please bring your own if you have something special in mind. Accommodation: Gaynor can supply a list of local places in and around Bosham. UK workshop places are deliberately limited to 8 people, so that all students get personal attention. You can book by using the booking form below and sending it with a non returnable deposit of £60. This will secure a place on a workshop if one is available. If there are no remaining places, we will contact you and add your name to the waiting list. The balance of the fee is due six weeks before the workshop starts. Failure to pay at this stage may mean that we will give your place to someone else on the waiting list. If you cancel less than six weeks before the start of the workshop the fee will not be refunded. But you may give your place to another person not already signed up for the workshop. If you wish to transfer to another workshop, you must let us know at least six weeks before the start of the workshop on which you have your booking. We strongly recommend that you take out appropriate holiday insurance to cover risks such as cancellation, including cancellation due to adverse weather, loss or ill-health, as we cannot be held responsible. If Gaynor cancels, she will of course give you a full refund. Workshop places fill quite quickly so book early. Teaching at Filoli House and Gardens, ASBA 2017 Conference San Francisco. Hello,, I’m first time to contact to you.i’d like to learn Botanical water colour. I’d like to take course of Sep 25-27. Can you tell me that availability please? Hi Gaynor, do you still have a place for the sept and/or Nov 3 day course?